Shifting trends in education have increased academic demands on younger children, and not all kids are developmentally ready for it. This creates unrealistic goals and can lead to significant academic and social problems that could otherwise have been avoided! With the adoption of Common Core standards, we have seen a shift in the structure of education with greater emphasis being placed on the acquisition of academic skills at early ages. The effect of this change has been to raise the academic standards of lower grades, effectively turning Kindergarten into the new 1st grade. Put simply, kids used to be expected to learn how to read in the 1st grade, while now they are expected to read in Kindergarten. By definition, Common Core is a set of standards, or goals that children should be working toward in school. These standards are helpful because they help focus parents, teachers and students on common goals. It is important to remember, however, that Common Core standards are just standards, and they do not always accurately reflect when most kids develop these academic skills. Childhood development typically follows a regular timeline during which children develop various skills or abilities, termed “developmental milestones”. For instance, most kids crawl at or around 6 months of age, speak their first words and/or walk at around 12 months or 1 year of age, and begin to speak in sentences at around 24 months or 2 years of age. The same is true with academic skills. Within the general population, most kids develop academic proficiency in reading and math when they are approximately 6 years old, or their 1st grade year. Some develop these skills earlier and some later. Some children are ready to learn to read in Kindergarten but not all of them. In fact, there are many 5 year old kids (typical Kindergarten age) with high intelligence who have difficulty sitting still, who are not quite ready to learn to read, or who have trouble writing letters and numbers. This “pish” to teach kids academic skills before they are ready can, in turn, contribute to a perpetuating cycle that leads to the development of significant academic and behavioral problems. Such issues can be avoided with proactive parenting. Communicate with school: When you feel that something may be amiss at school, do not hesitate to communicate with the school. Contact your child’s teacher to learn more about what is happening during school and to ask them for suggestions. This will let your child’s teacher know that you are aware of the problem and that you are working with them to solve it. There may even be resources available at your school to get your child extra help, such as Academic Intervention Services (AIS), a first line of defense before an IEP that many parents may not know exist. Recruit help for homework, skills practice: If you are having difficulty doing homework with your child, don’t be afraid to recruit the assistance of a tutor or a learning specialist. 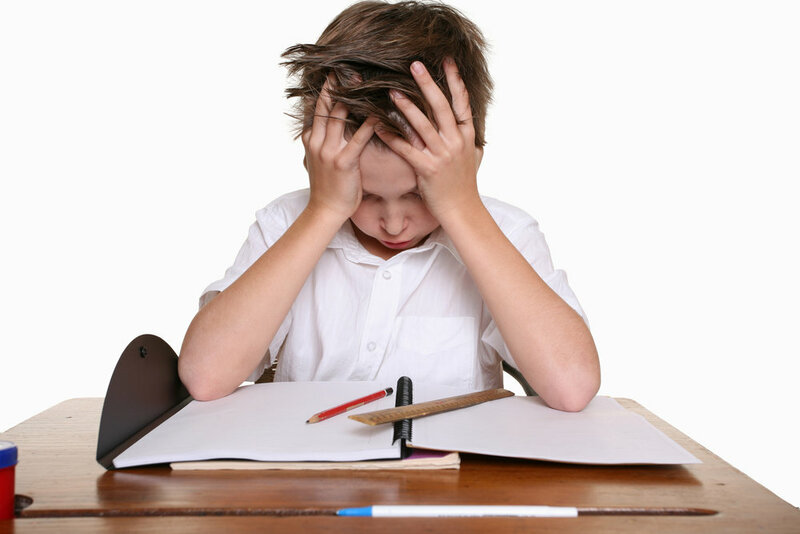 It is not uncommon for children and parents to have difficulty completing homework together, which can be frustrating for parents who just want to help. Sometimes it’s necessary to recruit the assistance of a tutor, learning specialist or even just schedule time for a relative or favorite babysitter to come and read with your child. Consult with a Specialist: If your child continues to experience learning or behavior problems, one powerful way to learn more about your child and to advocate for them at school is to get a Neuropsychological evaluation.